This is the most beautiful little object! 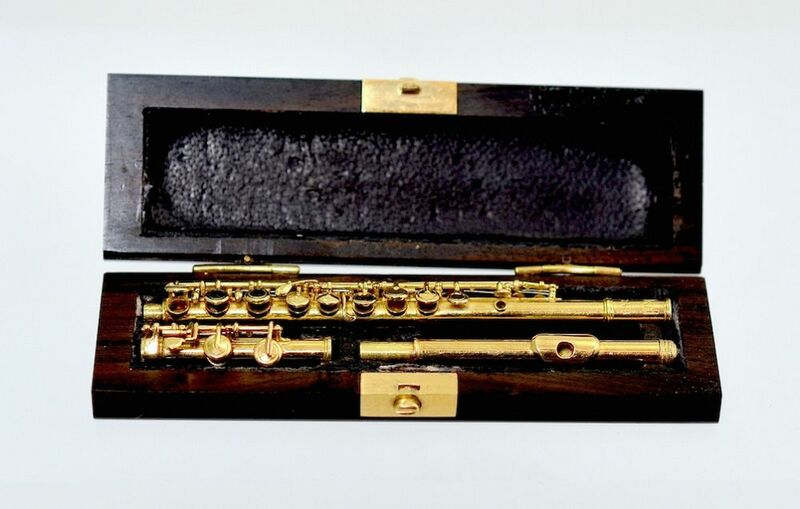 Made in 18ct yellow gold it is a miniature flute in a custom made case. 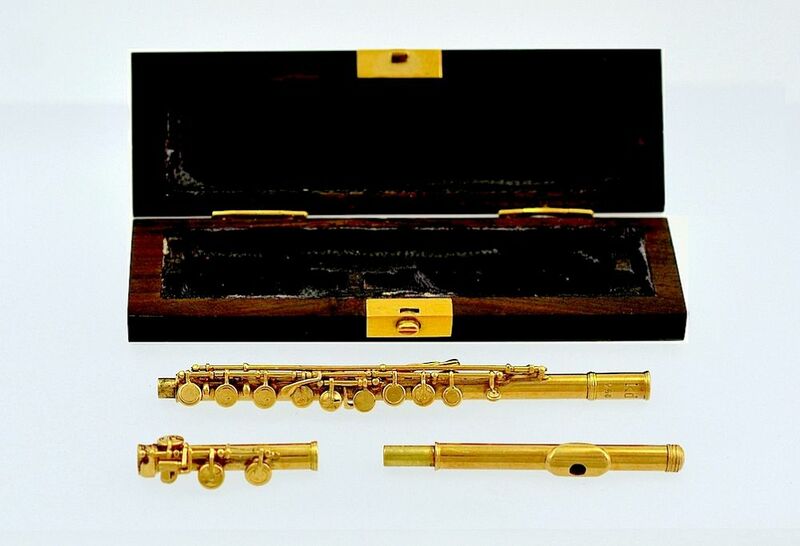 The flute dismantles into 3 parts (just like the real thing) to fit into the case. 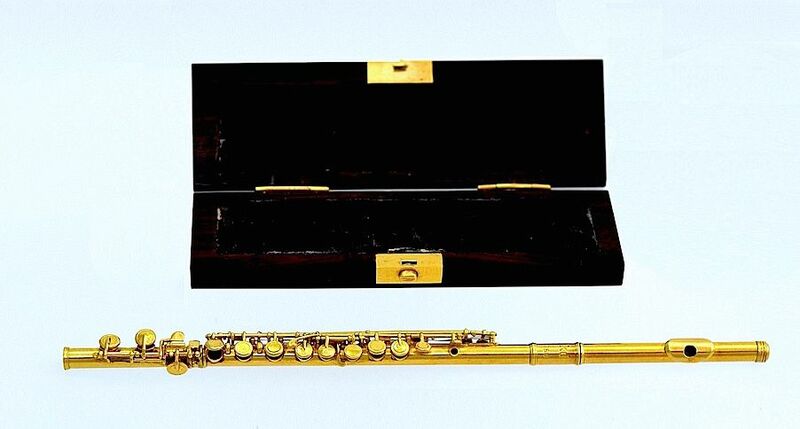 The especially made case is in macassar ebony with gold fittings. 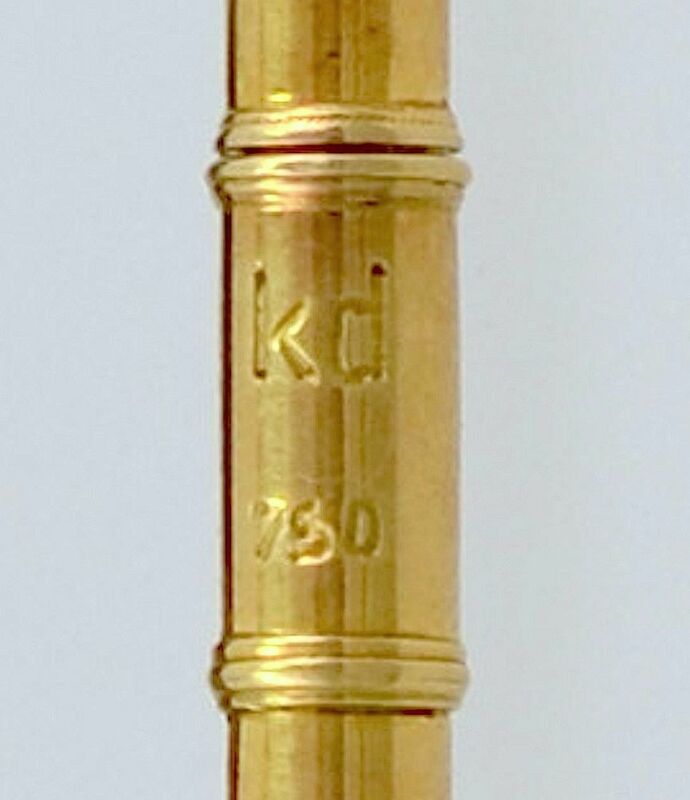 The flute is impressed with the initials "kd" and 750 for 18ct gold. The keys actually work! It is a wonderfully made piece which leads us to believe that it was commissioned and is therefore a one-off piece. The flute is in very good condition with some scratching consistent with age.